The cutting edge company, which includes NTK Sensors, whose slogan is The Sensor Specialist, is famous for its thorough research and development practices and its high-quality products. Among the most recent is the new Ruthenium spark plug. It has headquarters in Wixom, Michigan and manufacturing, inventory and distribution facilities in Irvine, California, Sissonville West Virginia and Chicago, Illinois. NGK Spark Plugs will be boasted through announcements during races beginning with the 38th Annual Spring Warm-Up on April 13-14 at Summit Motorsports Park, as well as through specially-made signage and displays throughout Summit Motorsports Park and on Summit Motorsports Park’s website and social media. “NGK Spark Plugs is a powerhouse when it comes to producing ignition products for cars, motorcycles and more, and many racers at Summit Motorsports Park have a substantial amount of success while using the company’s products on their race cars,” said Bill Bader Jr., president of Summit Motorsports Park. “Through this partnership, we look forward to hearing and seeing many more race cars with NGK Spark Plugs products fire up and fly.” For more information about NGK Spark Plugs, call 248-926-6900 or visit www.ngksparkplugs.com. For information about Summit Motorsports Park, which is at 1300 State Route 18, in Norwalk, Ohio, call 419-668-5555 or visit www.summitmotorsportspark.com. 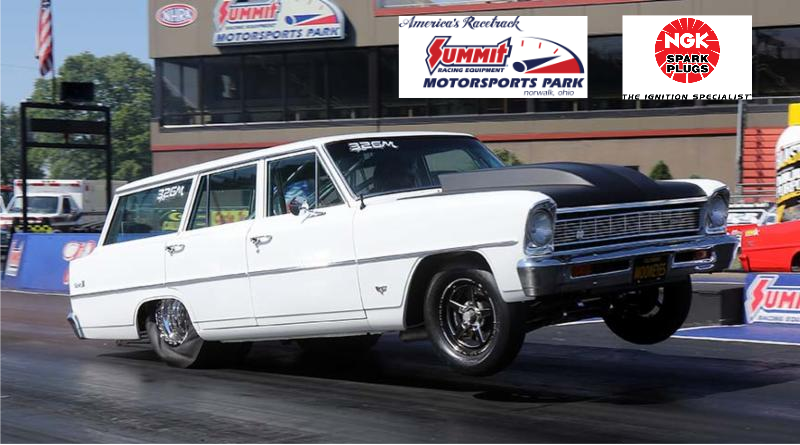 Click here for Summit Motorsports Park No Box Bonanza race details.